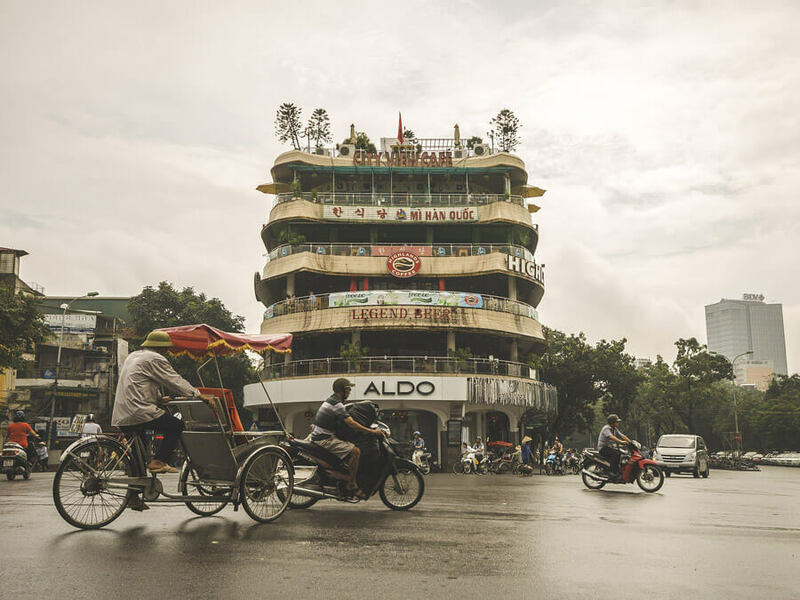 Hanoi is a city that is a must-visit in Vietnam as it’s the jumping off point for many of the countries main attractions such as trekking in Sapa in the north and visiting Halong Bay. 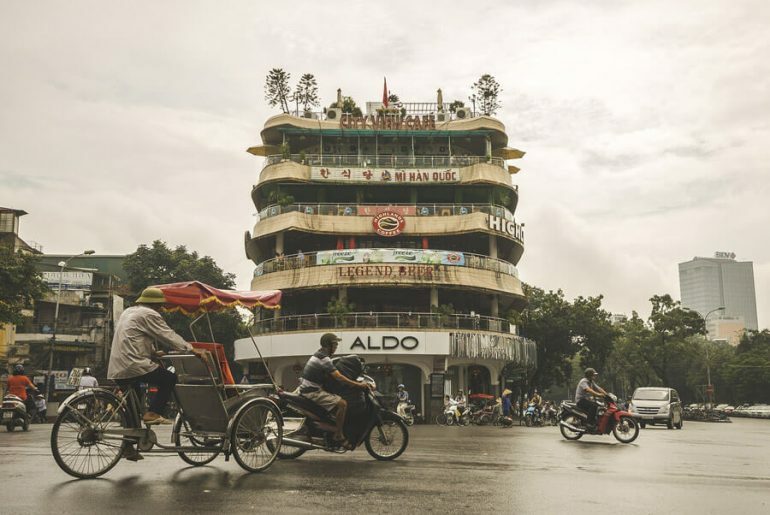 But before heading off you should spend a couple of days in the city and find where to stay in Hanoi so you can try some of the famous Vietnamese coffee, eat some street food and discover the wildly chaotic streets of the Old Quarter, a must on every Vietnam itinerary. 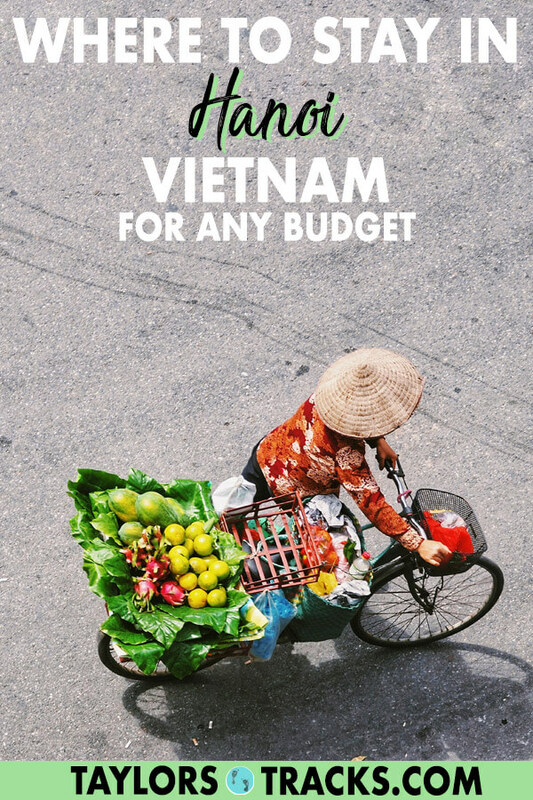 Hanoi is a large city and finding accommodation can be difficult but it doesn’t have to be to find the best place to stay in Hanoi with this simple guide that breaks down the top accommodation for all budgets. Here you’ll find the best Hanoi hostel to the most luxurious hotels in the city and everything in the middle. I promise you’ll find the best places to stay in Hanoi if you keep reading! Depending on what accommodation in Hanoi you’re looking for, one of more of these areas may appeal to you as the best location to stay in Hanoi. BEST FOR: Being in the middle of all the action. The Old Quarter is an area that is always busy as tourists and locals alike come here to sell goods and food. It’s ideal for travellers who want to be close to it all, want to enjoy the nightlife and have great authentic food around. This area has accommodation for all budgets. This is also the best area to stay in Hanoi for backpackers. BEST FOR: Travellers wanting a quiter area but still close to attractions. Ba Dinh is Hanoi’s downtown as the area is filled with many Hanoi attractions such as Ho Chi Minh’s Masoluem, the Temple of Literature, One Pillar Pagoda and many more. This spot is ideal for travellers who want to escape the crowds. But be warned there is not as many restaurants and nightlife here. This area is more targeted towards mid-range to weathy travelles. 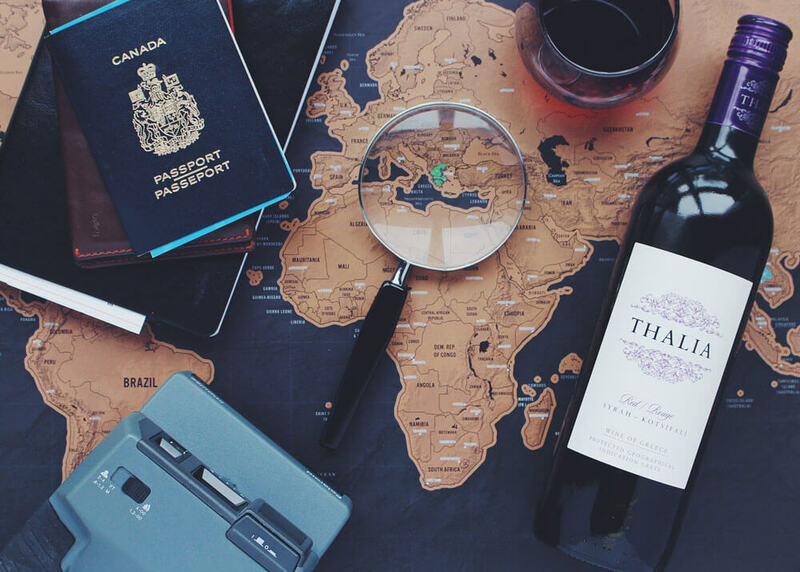 BEST FOR: Quiet accommodation and foodies. Tay Ho is a popular expat area but also where a lot of visitors stay. The area is packed with restaurants and it is quieter with Buddhist temples and a few attractions in the area. Accommodation is not as common here as other areas and is more expensive. 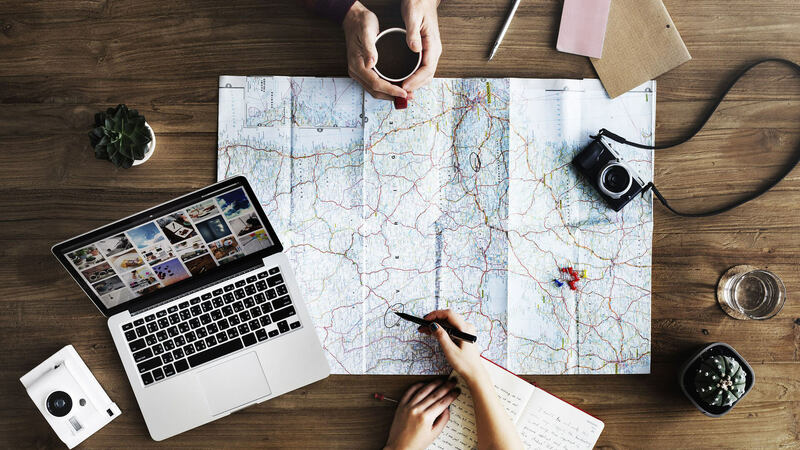 Find the best hostels in Hanoi for their location, budget and atmosphere plus cheap hostels in Hanoi that are super affordable. How could you go wrong by staying at the first hostel to ever open in Vietnam? The name Vietnam Backpacker Hostels you will hear lots throughout Vietnam and this is the original hostel. 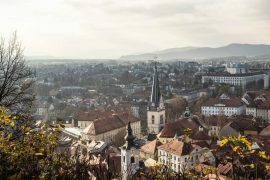 Its exceptional location is in the middle of the Old Quarter, which is where you’ll want to be as it’s close to many of the city’s main attractions. Both dorms and private rooms are available with amenities that include a rooftop bar, free breakfast, daily happy hours and nightly events. I’m sharing Vietnam Backpacker Hostels second location in Hanoi because the hostels are just that good and loved by so many backpackers in Vietnam. This cheap hostel in Hanoi has a downtown location that is ideal for exploring the Old Quarter as it’s right smack in the middle and is the largest hostel in Vietnam. It’s a party hostel known for its huge bar, nightly parties, daily happy hours and events. Dorms and private rooms are available with air conditioning. Free tours through the Old Quarter are also available. 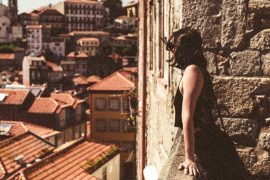 This hostel too is located in the Old Quarter (because it’s where you’re going to want to be!). 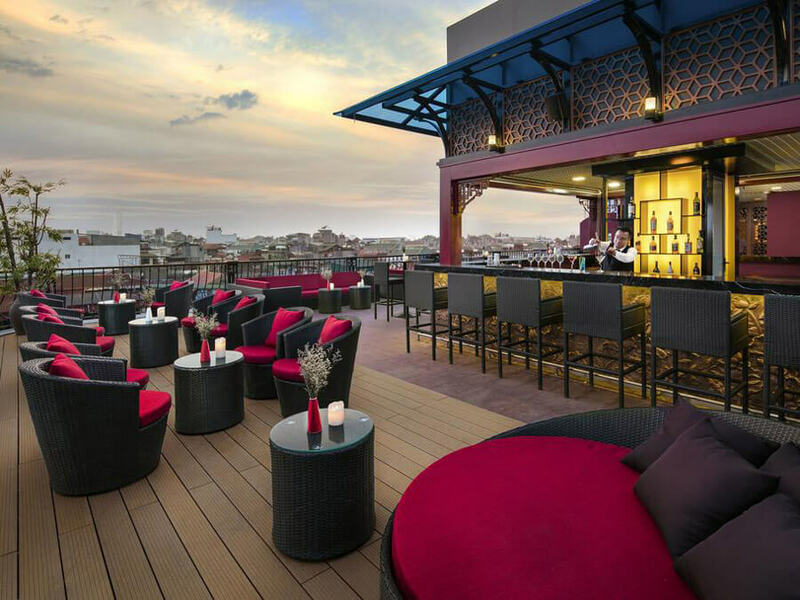 It has a lively atmosphere, nightly parties, daily happy hours and a tour desk to help you book onward travel or tours from Hanoi. 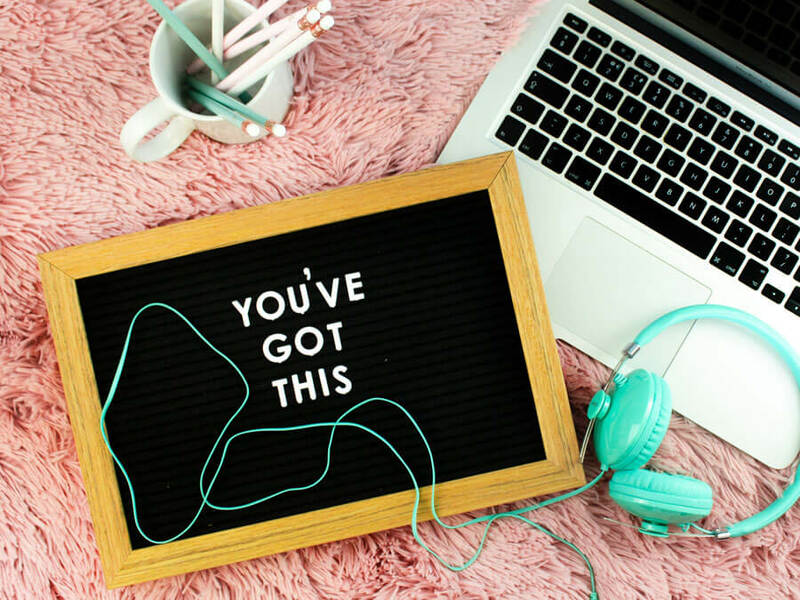 If you’re looking for somewhere a little more quiet then checkout the sister hostel Central Backpackers Hostel – Original for all the same amenities but a more quiet atmopshere. Both hostels join up for fun in the evening! Find the best hotels in Hanoi that won’t break your budget with these cheap Hanoi hotels. This Hanoi hotel will deliver you views of the lake from the terrace. The hotel is located in Hoan Kiem which is an ideal location to be in for shopping, street food and overall atmosphere. Bicycle rental is available from the hotel and a meal can be enjoyed in-house at the restaurant on-site. 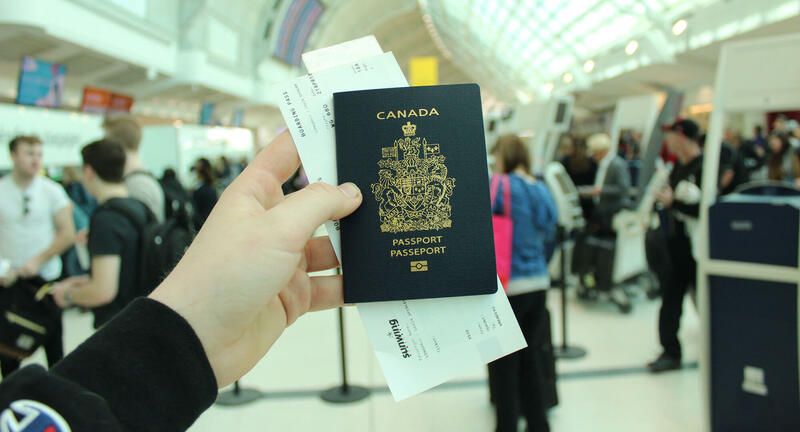 A bar, airport shuttle and free breakfast is also available. Previous guests raved about how good the Wi-Fi is. 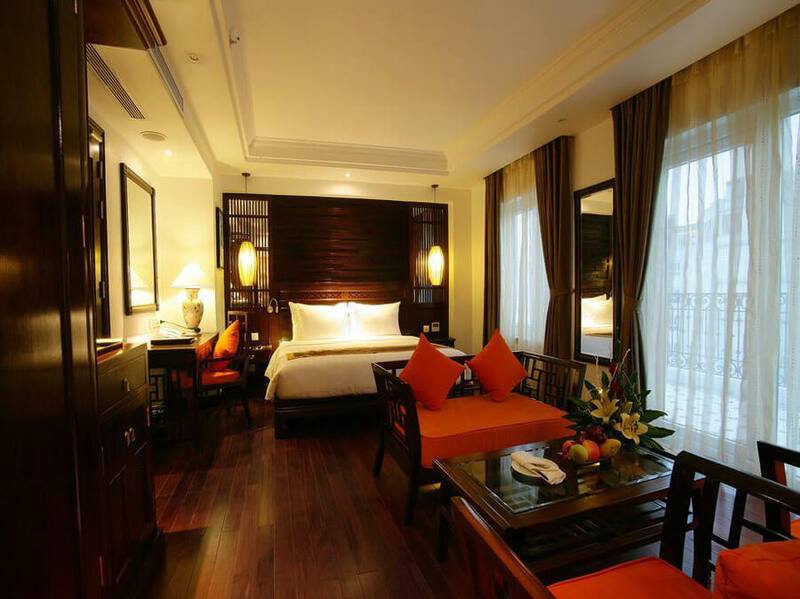 This hotel is in the heart of Hanoi and has rooms with city or gardens views and balconies. This hotel has been rated highly for solo travellers and has amenities that include a spa, on-site restaurant, bicycle rental and breakfast is included. Overall guests loved this property for its location and value for money. Previous guests loved this property for its location, cleanliness and wonderful staff. You’ll be treated to amenities at this hotel that include an airport shuttle, free breakfast, bicycle rental and an on-site restaurant. The area that it’s in, Hoan Kiem, is perfect to find street food and for shopping. Find the best luxury hotels in Hanoi Vietnam for the ultimate getaway in the city. 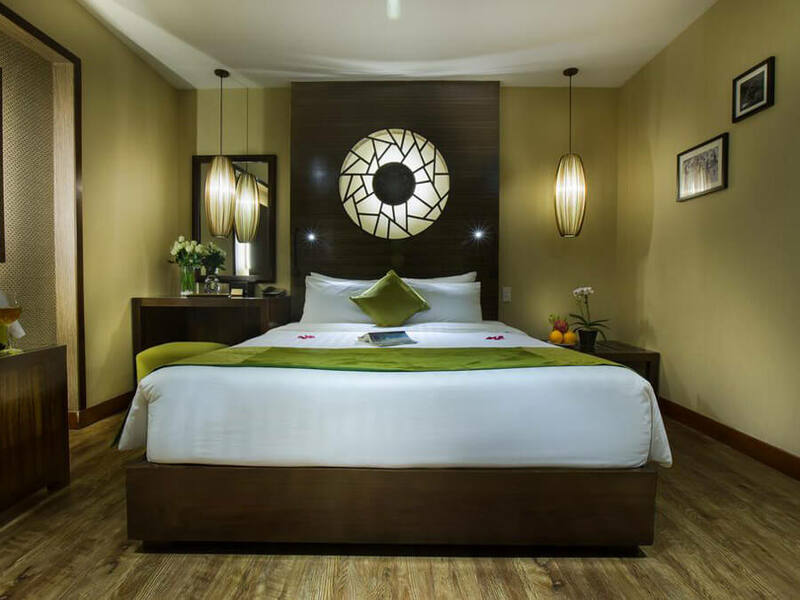 Often thought of as the best hotel to stay in Hanoi, this Hanoi boutique hotel is here to offer you stylish rooms with balconies and patios for a fabulous stay in the city. It was rated highly for its location and comfy beds. Breakfast is included and there are luxurious amenities such as a terrace and on-site spa. Guests can choose to dine in-house at the restaurant or explore the area for many food and shopping options. Find this hot hotel as your home away from home with an excellent location, wonderful staff and exceptional cleanliness. 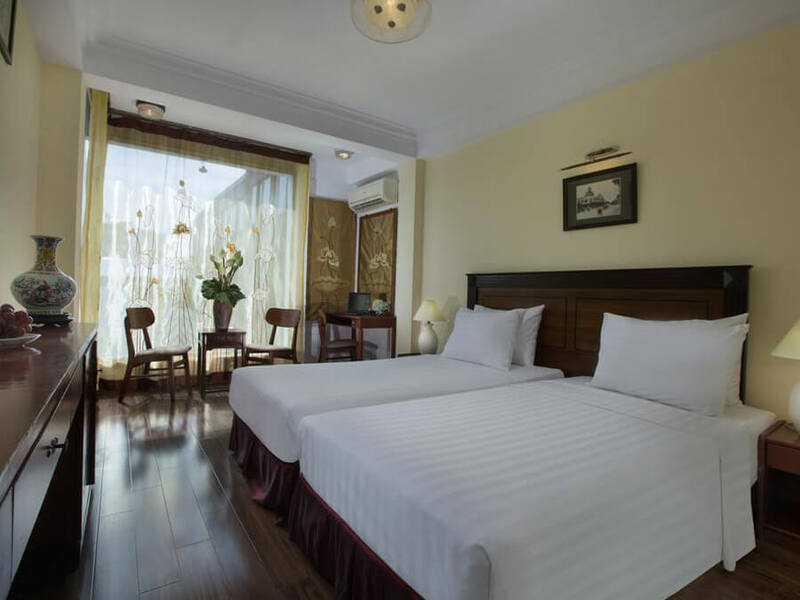 The hotel is closely located to Hanoi attractions such as Hoan Kiem Lake and Ngoc Son Temple. Guests can choose to indulge at the on-site spa, kick back at the bar and enjoy the complimentary breakfast. 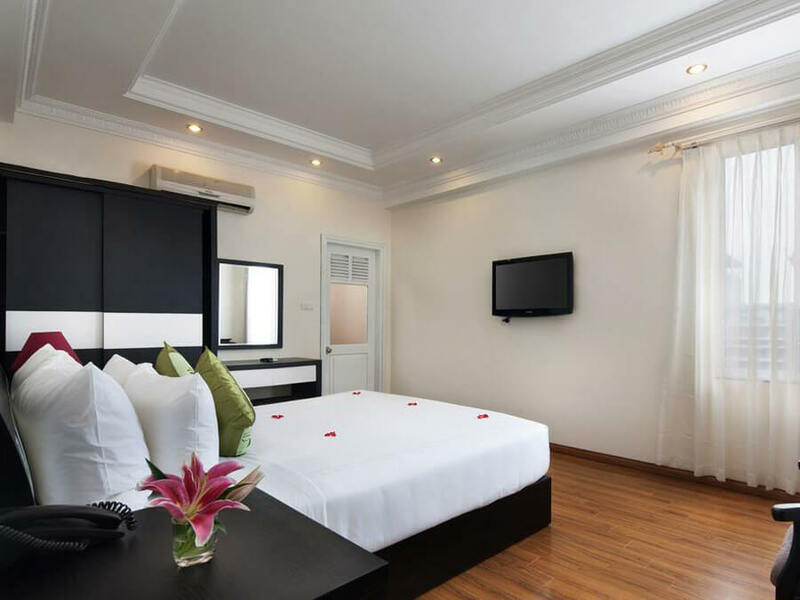 You get it all at this hotel, an excellent location in Hoan Kiem known for where many of Hanoi’s best sites are, amazing staff and stylish rooms. Not to mention amenities such as the on-site spa and wellness centre, the complimentary breakfast and the on-site restaurant. Around this hotel you’ll find amazing street food and loads of shopping making it a best hotel in Hanoi. Find the perfect Airbnb in Hanoi for your trip and stay with a superhost. I adore that this Airbnb named is Komorebi, which means the sunlight that filters through the leaves of the trees, and you guessed it, there is lots of sunlight in this modern apartment! 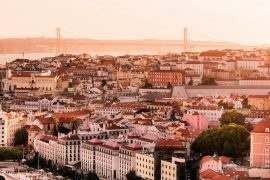 What’s great about this Airbnb is the fact that it’s close to the Old Quarter but still in a local area so you can expeirence the best of both worlds – local life and tourist hot spots. With this Airbnb in Hanoi you’ll get a private room in a townhouse where the family has been living since the 20th century. On the top floor you’ll have a private balcony with views over Hanoi and a garden plus the location is ideal, right in the centre of the historic Old Quarter. A budget Airbnb option for Hanoi is Hanah’s Tiny Hanoi homestay that has four apartments available to rent in the antique homestay. Guests will be only 500 metres from Truc Bạch lake and 3km from the Old Quarter. Package tours, motorbike rentals and a cafe are all available at the homestay.